We run public workshops, and also conduct fun Peace Lab experiments throughout the year..
We started our first public class through Laneway Learning Melbourne in December 2016 and have been running popular "Laughter Zen Playshop" since then at Laneway Learning. 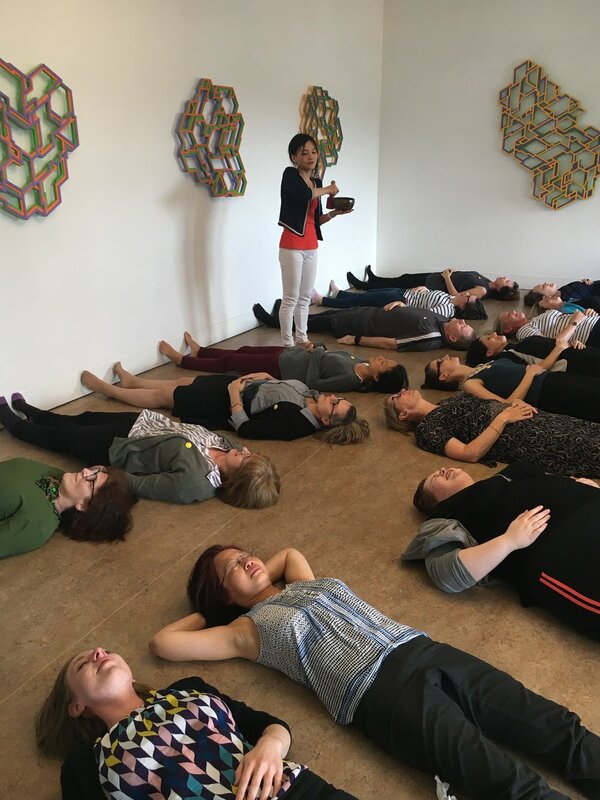 Laughter Zen Playshop combines laughter yoga, imaginative play and creative meditation into one fun and reflective session, to encourage others to respond to stress differently - through play, laughter and meditation. A new well-being approach: We Laugh, Play and Meditate! We are currently also looking to work with other cool and funky places around Melbourne to run classes. If you are interested in hosting us, please connect with us!